The Sochi Winter Olympics might be over, but the interest in winter sports generated by the event will linger for some time. In addition to that, appetite for ski property is on the up too, with agents and developers in the Alps reporting a surge in enquiries in January 2014 compared with the same time last year. And while the large majority of France’s property market remains flat, a leading property consultancy reported price increases of eight percent in two key resorts in the Alps in 2013, namely Chamonix and Morzine, thanks to growing demand from overseas buyers and infrastructure upgrades. Much of the demand is being driven by international buyers, many of whom are buying ski property as a solid long-term capital investment rather than putting their money into more traditional ventures, such as saving accounts and stocks and shares. Not to mention, a property in an Alpine resort provides not only a place to go on holiday in the winter and summer, but can also be a good rental earner. Things are set to improve further this year, as conditions for purchasing in the French Alps are favourable for British and foreign buyers too. Mortgage rates in France are still at historic lows and the euro is showing no signs of strengthening, meaning it makes financial sense for some foreign buyers to purchase with a French euro-mortgage. David Windell, an accountant from West Sussex who owns and rents out a chalet in the Savoie region of the Alps, is benefiting from France’s cheap mortgages. David, who spends five to six months of the year at his chalet enjoying his two passions in Iife, skiing and paragliding, bought his six-bedroom property in the village of Montagny for €362,000, including fees and taxes. Not being in a ski resort, but still just 15-20 minutes’ drive from the Three Valleys and Paradiski ski areas, meant his budget stretched further than if he were in a property hot spot close to ski lifts. “I’ve bought with a tracker mortgage from BNP Paribas and benefited from the reduced mortgage rates in France, so I’m now paying around three percent interest,” said Andrew, who can keep on top of his work by working remotely when he’s in France. David has another strategy to help keep the sterling cost of his mortgage to a minimum – he uses a currency specialist to send money to France, thereby getting a better pound/euro exchange rate than if he sent the monthly payments direct through his bank. He also saved money by using his currency specialist, called Smart Currency Exchange, to transfer the balance to France for the purchase of his property. David dedicated two summers paragliding and touring the French Alps in search of the right property. He estimates he saw between 150 and 175 properties before finding his chalet, which includes a self-contained basement studio where David stays when he has guests. 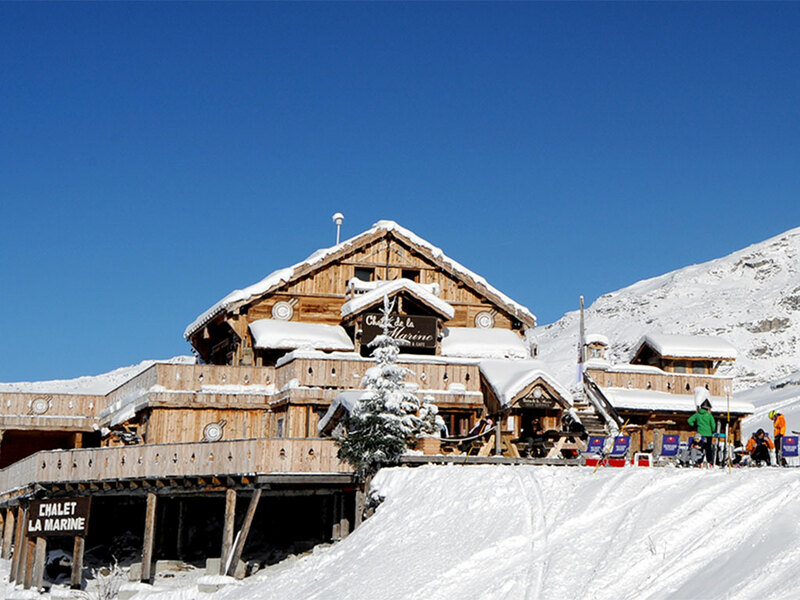 The village of Montagny is situated above Brides les Bains, a thermal spa town at the foot of the Meribel Valley. The pretty village of Bozel, at the foot of Courchevel ski resort, is just six minutes’ drive from the chalet.